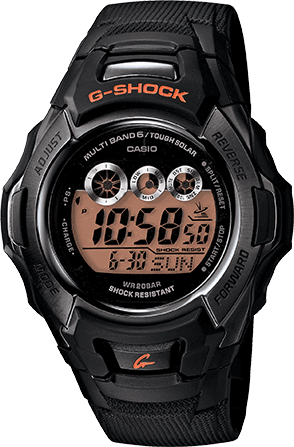 This new color addition of the GW2310 model is cloaked in stealth black, orange color highlights and a reverse LCD display. 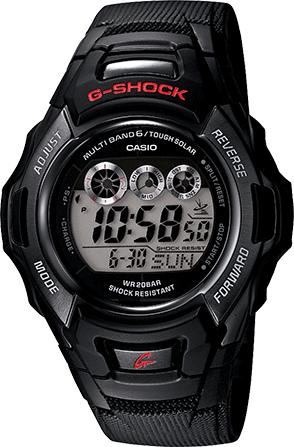 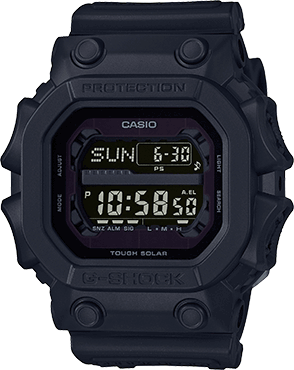 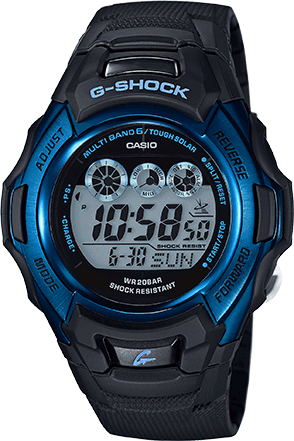 The GW2310 has long been a favorite in the G-Shock line up for its utilitarian look and rugged toughness. 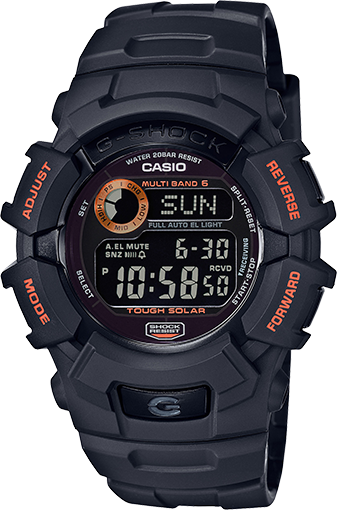 Standard features include five alarms, 1/100th second stopwatch, countdown timer and world time as well as a full auto EL backlight, tough solar power system and Multi-Band 6 Atomic Timekeeping.